Jaipur witnessed a royal ceremony of Holika Dahan at the City Palace Jaipur with HH Sawai Padmanabh Singh and Rajmata Padmini Devi. The City Palace in Jaipur is one of the best privately conserved palace complexes in India. Built by Maharaja Sawai Jai Singh and his dynasty between 1729 and 1732 A.D. Since Independence, it has been the residence of Jaipur royal family and a large part of the complex is open for visitors. Holi has various legends associated with it. The foremost is the legend of demon King Hiranyakashyap who demanded everybody in his kingdom to worship him but his pious son, Prahlad became a devotee of Lord Vishnu. Hiranyakashyap wanted his son to be killed. He asked his sister Holika to enter a blazing fire with Prahlad in her lap as Holika had a boon which made he immune to fire. Story goes that Prahlad was saved by lord himself for his extreme devotion and evil minded Holika was burnt to ashes, for her boon worked only when she entered the fire alone. 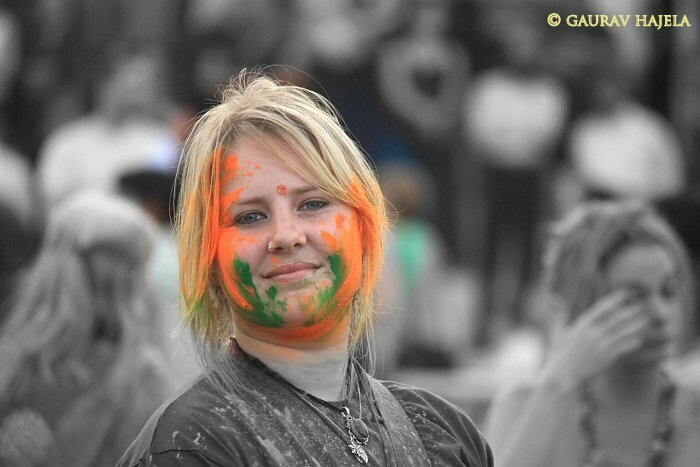 Scheduled for March 27, 2013, the Festival of Holi infuses vibrancy and enthusiasm amongst people in India and abroad. 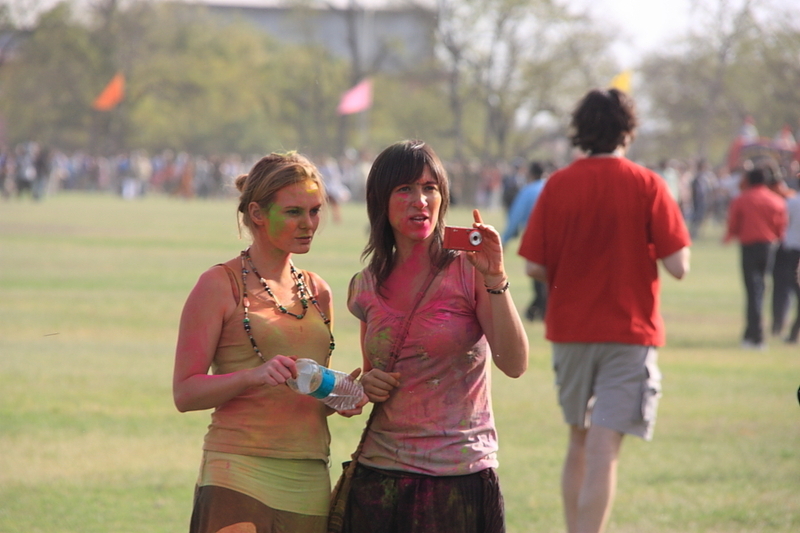 A large number of tourists are attracted towards this grand affair of Holi celebration. 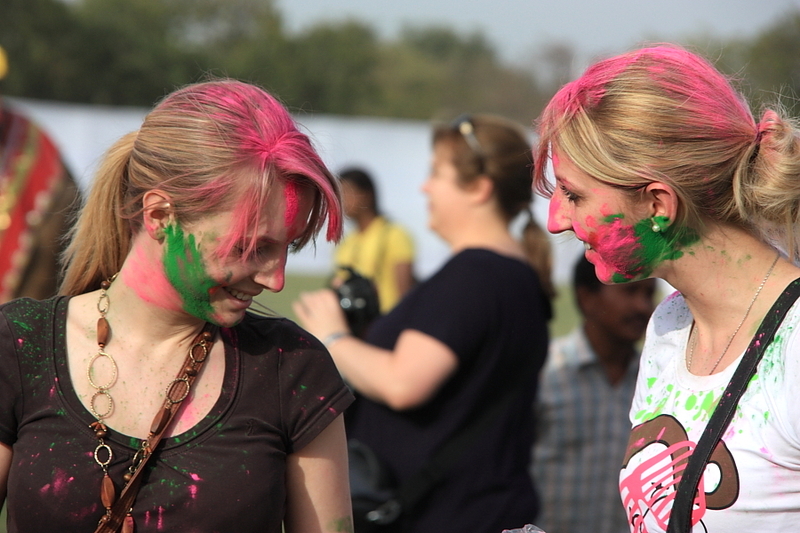 Holi, the colourful festival is more popular in villages than they are in cities. People from far off villages specially move down to the village holding the Holi Fair a week before the festival. It serves as a full entertainment package for young children and elders. One can visualize the craze and love to celebrate the colorful festival with the enthusiasm among the people. 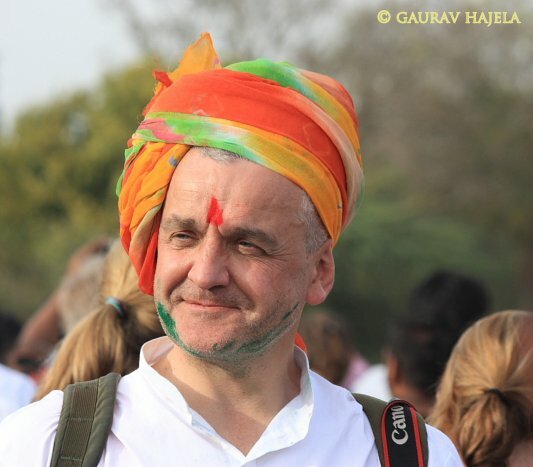 The colourful state of Rajasthan plays Holi much the same way as Mathura. 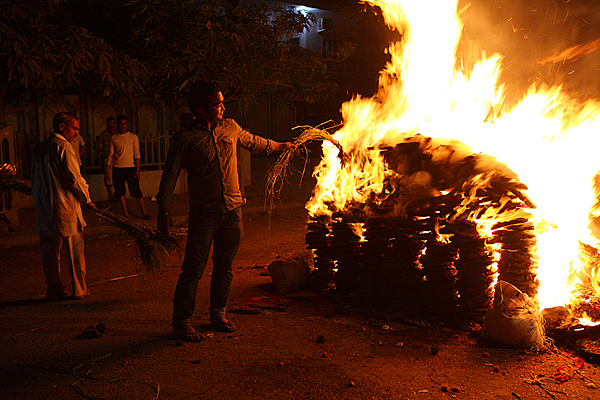 A night before the full moon, crowds of people gather together and light huge bonfires to burn the residual dried leaves and twigs of the winter. 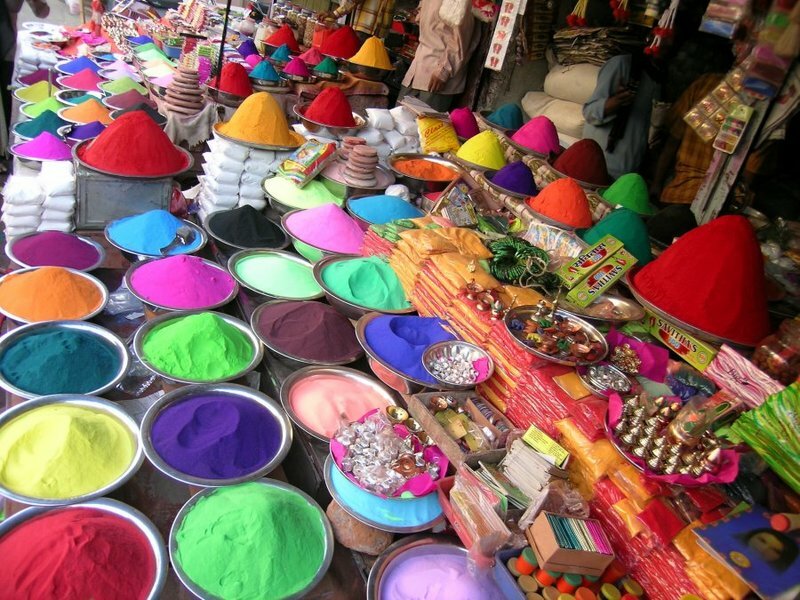 People throw coloured water and powders (gulal and kumkum) at each other and make merry. Singing, dancing and the traditional beats of dhol add to the gaiety of the occasion. On this day even the royals of Rajasthan don a festive spirit and mingle with the commoners. Infact, royal courts all over North India have refined the festival into an art. Rajput warriors of the Rajasthani courts used to show off their equestrian skills during the festival. Even today, Rajput men would ride their steeds through the white and pink clouds of colour, throwing colour powders on each other. Even the members of the royal families are not immune from being drenched by colour. 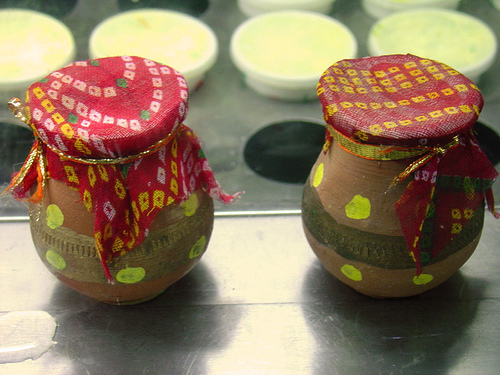 Another important attraction of the Holi is the traditional drinks of Bhaang and Thandai. People love to taste the traditional drink and enjoy the excitement of Holi till late afternoon followed by traditional luncheon and dinner with friends and relatives….